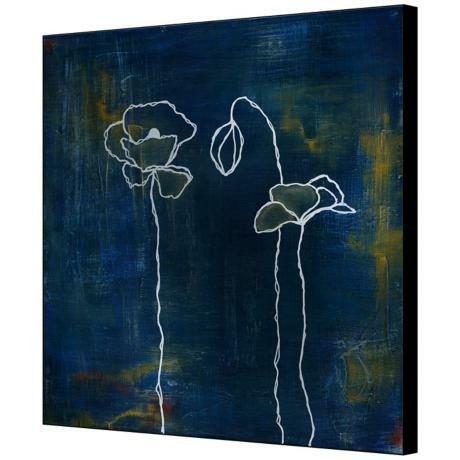 Elegant floral line drawings are juxtaposed against a painterly ground of rich deep blues and greens with gold accents in this abstract square metal wall art. Printed on light brushed anodized aircraft-grade aluminum to create a vibrant shimmering look. This floral themed abstract wall art instantly adds a beautiful upgrade to the Decor. Ready to hang, this metal wall art is completed with a black finish frame. This wall art arrives ready to hang. • Printed on light, brushed aluminum. • Flush black finish frame. • Aircraft grade anodized aluminum.